As a limited time offer – ensure you sign up today! Welcome to What Pool & Hot Tub – full of advice, tips and reviews, What Pool & Hot Tub is the UK's only one-stop resource for all things wet leisure in the UK. If you are excited about the prospect of owning a pool, hot tub, spa, swim spa or sauna but confused about which product to choose and need further independent information, you are not alone – let us help you. 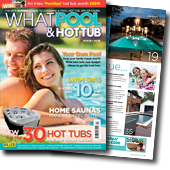 For a very limited time you're able to sign up to receive your own free copy of this years What Pool & Hot Tub magazine and have it delivered to your door – with no charge whatsoever. Inside the magazine, we hope you’ll find everything you need to know – the health benefits of products, how to make a decision on what suits your needs and your pocket, how to maintain and enjoy it and a look at the sensational and thrilling designs and styles of wet leisure products now being built or installed in town and country homes throughout the UK. Whether a starter above-ground pool costing a few thousand pounds right through to a glamorous stylish indoor pool with a sauna and steam room costing ten's of thousands, swimming pools have never been more popular. We also look at technology changes and how it’s now so much easier to own and maintain you own pool. There's our '8 of the best' above-ground pools and pool enclosures plus our '5 of the best' one-piece pools and pool covers too! 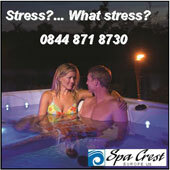 But it's not just pools – high quality, high tech hot tubs which are wonderfully relaxing and therapeutic while easy to run and maintain are in demand. 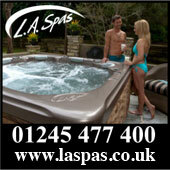 If you’re thinking of investing in a hot tub or spa then we look at the best hot tubs on the market. 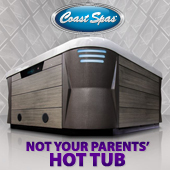 Our hot tub information is designed to help consumers review and compare models and this year we've a brand 'Our Top 30 Hot Tubs' spanning 3 key price points and helping you choose the best hot tub for you. 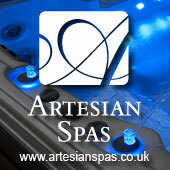 We also feature ever more popular swim spas and highlight our '10 of the best' for this season. In short, whatever you wet leisure need, we have it well and truly covered! The above information is only available in the 2015 edition so if you're thinking of splashing out this summer, make sure you've read What Pool & Hot Tub first. Save yourself £4.95 and a trip to the shops and sign up for your free copy today. The registration below should take no more than 3 minutes! IMPORTANT: THIS IS A LIMITED TIME OFFER THAT RUNS UNTIL THE END OF THIS MONTH ONLY - SO DON'T DELAY - SIGN UP TODAY!